Doha, Qatar, 2014-2017New Building of School of Social Sciences of the "University of the Aegean"
ΒΕΤΑPLAN is an architectural practice established by its principals Ioannis Ventourakis and Takis Tavaniotis in 1987, as a continuation of their original collaboration initiated in 1972. The firm is registered as a consulting firm with the Greek Ministry of the Environment and Public Works, the World Bank Group and the Commission of the European Community. European Committee of Consulting Firms (CEBI), International Hospital Federation (IHF), Technical Chamber of Greece, Hellenic Association of Consulting Firms (HELLASCO). In BETAPLAN we believe that the architectural design should be honest and comprehensible to its users, useful and unobtrusive, environmentally friendly and long-lasting. Moreover, it should respect and reflect the uniqueness of its surroundings, be innovative and at the same time aesthetically pleasing. Last but not least it should be expressed in a simple but thorough, down to the last detail, way. Since the beginning the firm has had the chance to work for a diverse group of clients in both the Public and Private sector, ranging from Local Authorities to State Ministries and from small private investors to large institutions. 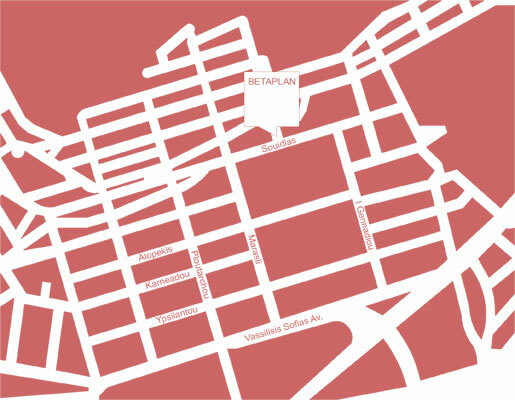 Through the cumulative experience all these years, BETAPLAN can claim the ability to adapt easily and successfully to different situations and client requests which occur through the different phases of design and construction process. In BETAPLAN we highly value the relationship between the architect and the client and we believe that a major goal is the satisfaction of the client’s needs and ambitions. In order to achieve this goal we pursue from the very beginning to establish an active and honest relationship with our clients and we believe that only through close cooperation between the design team, our consultants and the client successful buildings are designed. One of the most important aspects of BETAPLAN’s quality policy is the Organizational Structure and Quality Management System which is in accordance with the international organization standard ISO 9001:2015. Through its effective application BETAPLAN is able to maintain and guarantee the continuity of the high quality service, which the firm provides for the benefit of the clients and projects. In-house basic and follow-up training in technical issues and various software tools (BIM, CAD, Team work communication managers and others) are provided to the relevant company staff. In this way, we are able to maintain and guarantee the continuity of the high quality service, which our firm provides. The primary objective of BETAPLAN S.A.’s Quality Management System is the creation of a base for the continuous improvement in the efficacy of the Company’s procedures, always having as a rule the optimum fulfillment of the requirements and expectations of its Clients. To achieve this, the Management always supports and applies the base principles and rules of the Company Quality Management System in accordance with ISO 9001:2015, establishing objective Quality goals with the consistent and productive input from both its staff and its associates. • The provision of Services and the production of Design Studies that fully comply with the requirements and submission deadlines that are specified in the agreements we sign with our Clients, providing at the same time a satisfactory financial outcome to both BETAPLAN and its Clients. 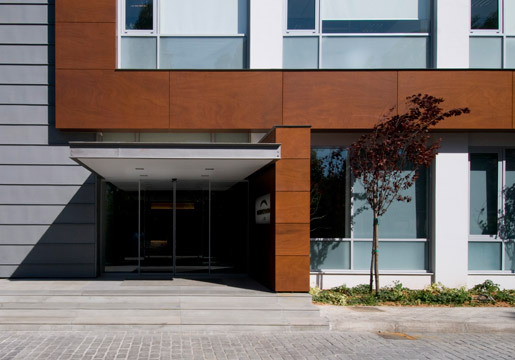 • The compliance with the relevant Legislation concerning the Quality, Safety and Environmental Effects of the building works specified in our design studies. In line with its effort to assist the protection of the environment, BETAPLAN applies a policy of recycling paper and batteries. • The constant improvement of our quality procedures, so that our Services and our Design Studies are considered to be of the Highest Quality in the Greek and International Markets. • The close cooperation with our Clients, the other collaborating design consultants and External Associates, with the objective to constantly improve the quality of our Services and our Projects. • The pursuit of the continuous development of BETAPLAN S.A.’s personnel, so that they can perform their tasks in an efficient, qualitatively correct and creative manner, as well as being encouraged to participate actively and creatively in the goal of the continuous Quality improvement, as well as their own personal betterment. • The principles of the System and the objective quality goals are reviewed at regular time intervals by the Company Management, to ensure their compliance with the new market needs and developments, the legislative requirements, as well as the attainment of the targets for the continuous improvement in the Company’s operations. The Management is highly committed to provide the necessary resources (technical equipment – training – technical knowledge) for the satisfaction of the demands that result and are formed by existing conditions. All the departments of BETAPLAN S.A. have the responsibility to be informed of and assimilate the required Quality System procedures, as well as to integrate and apply them in their everyday tasks. It is the responsibility of BETAPLAN’s Management to ensure that its Quality Policy is communicated, and is understandable and applicable by all the Company personnel, as well by its Clients and external providers, with the objective to achieve the constant and stable development of its business activity, with a strong commitment to its principles and the continuous provision of products and services of the highest quality to its Clients. Over the years BETAPLAN has become familiar with domestic or international Green Building Certification Systems, such as LEED, MINERGIE, BREEAM, QSAS or KENAK. 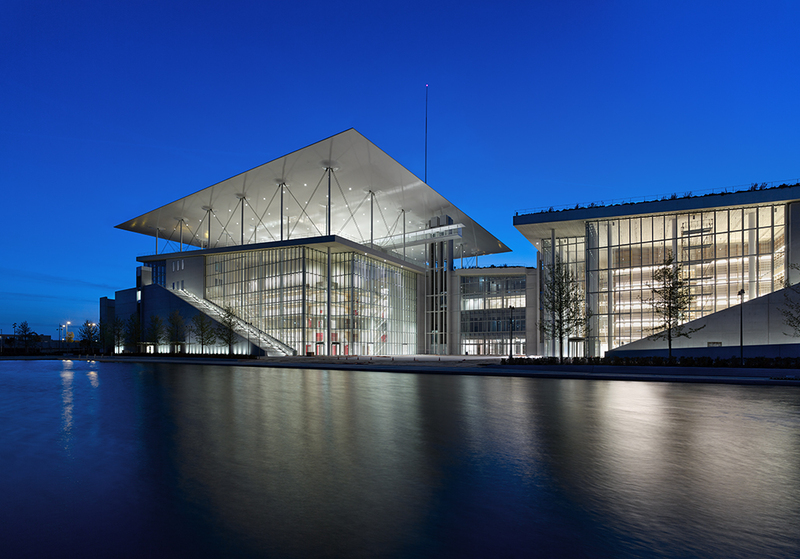 More specifically, the Stavros Niarchos Foundation Cultural Center, in which BETAPLAN is the executive architect, implements the LEED certification system and is the first project in Greece aiming for Platinum LEED certification rating. BETAPLAN, during the last decades, has undertaken the architectural design from inception to completion, the design coordination, as well as the construction supervision of a wide range of projects of different size and nature, such as: Healthcare, Education, Heritage, Culture, Sports, Office and Government Buildings (Public Sector Buildings), Commercial and Industrial, Transport, Residential, Hospitality, as well as Environment and Urban Planning. Since the beginning, our aspiration for the buildings we design, whether these are new Constructions, Conversions/Renovations of existing buildings, is to identify the unique challenges each project poses, in relation to their program and their surroundings. One of the key services provided by BETAPLAN is also the correct interpretation and application of the local building codes, standards and European regulations throughout the design as well as the compliance of the design with the specific zoning ordinances and the preparation of the relevant documents. Through BETAPLAN’s involvement in several of the major projects in Greece, like the Main Olympic Complex Venue of Santiago Calatrava, the New Acropolis Museum of Bernard Tschumi or currently the Stavros Niarchos Foundation Cultural Center of Renzo Piano Building Workshop, BETAPLAN, acting as the architect of records, has gained significant experience and is very familiar with the different permitting procedures depending on the type of the project. Specifically for the New Acropolis Museum and the Stavros Niarchos Foundation Cultural Center, BETAPLAN has been very actively involved in the preparation and follow-up of the ratification of the special Laws for these two projects. In BETAPLAN we realize that in an increasingly globalized market, our tools must correspond to the requirements of international collaboration. Follow-up of the technological developments regarding software possibilities, drawing systems or product information is a strategic decision of BETAPLAN and by attending workshops, lectures and classes the personnel is able to respond fast to new and useful technologies. Building Information Modeling (BIM) software), and more particularly REVIT, is fully incorporated in the firm’s workflow providing an advanced way of controlling the quality of the designed buildings throughout the design and construction process. BETAPLAN has also a very good experience in the preparation of tender documents and the follow up of the tendering procedure of big projects. Through recent international projects BETAPLAN has also very well familiarized with CSI Master Format 2010 for the compilation of the Technical Specifications. Athens Badminton Cultural Development S.A. Architect (National Technical University of Athens - School of Architecture). Ioannis Ventourakis was born in 1947. He is one of the two principals of BETAPLAN S.A., which he co-founded in 1972. He has been in charge for the design, management, permitting procedure and construction supervision of a large number of major cultural, healthcare, education, transportation, hospitality, residential and sports projects, as well as of smaller projects dealing with ancient monuments. He has wide experience in project management and coordination, including the entire range of administrative and contractual issues. He is an expert in the architectural aspects of the restoration, renovation and maintenance of traditional buildings and monuments. He is also very experienced in the collaboration with foreign architectural firms for some of the most prominent recent projects in Greece. His projects include the design of some of the most significant venues for the Athens 2004 Olympic Games, the permitting, preparation of the Law and bidding procedure for the New Acropolis Museum, the design in collaboration with Cooper Robertson and Partners and in particular the coordination of the local team of experts involved in the Stavros Niarchos Foundation Cultural Center project and the preparation of the Law ratified for this specific project, as well as the full design in collaboration with Renzo Piano Building Workshop, along with a big team of foreign and local consultants, the permitting and bidding procedure and the construction supervision of Stavros Niarchos Foundation Cultural Center, currently under construction. Architect, born in 1947. He is a partner and managing director of BETAPLAN S.A., which he co-founded in 1972. He obtained a Certificate of Specialization in Healthcare and Welfare Buildings (ACTIM, Paris, 1983). He has wide experience in the management of the design process and the construction supervision of various types of buildings and building complexes, such as, hospitals, theatres, housing, offices, cultural centers and monuments. He is a highly qualified expert in healthcare strategic planning and operational policy, design management for health facilities and welfare buildings, as well as accessibility for the disabled. He has participated as a member in several technical committees and was a visiting lecturer at the Postgraduate National School of Public Health between 1994 - 2002. Architect, born 1961 in Athens. He joined BETAPLAN in 1990 and has since collaborated on a large number of major projects. Among the projects he worked as architect in charge are included the Lazaristes’ Theatre & Cultural Center in Thessalonica, the Athens Olympic Games Weight Lifting Stadium, the Athens Olympic Games Sports Complex (in collaboration with Santiago Calatrava), the Lyric Theatre of Corfu, the International Airport of the Island of Kos, the new Metro (13 stations) in Thessalonica and for the Tourist Resort and Golf Development in Messinia (Costa Navarino). He is currently a member of the design team for the Stavros Niarchos Foundation Cultural Center in Athens (new Opera House and National Library). Mrs Koghilaki is an architect graduated from the National Technical University of Athens and an associate with BETAPLAN S.A. since 1980. She has in depth experience in the design of projects and she is actively involved in the design and supervision of public and private developments including the preliminary, final design, tender documents and construction supervision stages. She has wide experience in various types of projects, which include healthcare facilities, building conservation, urban design and landscaping, educational buildings etc. Mrs Tzanou is an architect and an associate with BETAPLAN S.A. since 1990. She has a Master of Arts in Architectural Building Conservation from De Montfort University in Great Britain. Mrs Tzanou has wide experience in the design management and coordination of many projects, including several major developments related to the Athens 2004 Olympic Games. She is currently a member of the design team for the Stavros Niarchos Foundation Cultural Centre in Athens. Mrs Ventouraki is an architect and interior designer. She joined Betaplan in 2000 and has since been involved in the design of several major projects, including Attiki Road, the International Airport of Kos Island, the Lyric Theatre of Corfu, the new Metro Stations in Thessalonica and the Museum of Greek Folk Art. She is currently a member of the design team for the Stavros Niarchos Foundation Cultural Centre in Athens. Mrs Matrakidou is an architect/ industrial designer, born in 1959 in Thessaloniki. She collaborates with Betaplan since 2001. She studied architecture in Athens, industrial design in Paris and Philosophy of Culture at the Sorbonne, Paris. She worked in Paris for 10 years (among the projects she worked, is included the European Parliament in Strasburg in collaboration with Architecture studio Paris) and in Tokyo, Japan for 3 years. Since 2007 she is a lecturer at the Faculty of Architecture of the University of Patras. Mrs Solomonidi is an architect graduated from the N.T.U.A. with a post-graduate diploma in urban design from Paris - Belleville school of Architecture and an associate with BETAPLAN S.A. since 1992. She has worked for several architectural practices, both in Athens and Paris, before joining BETAPLAN. She has wide experience in the design management and coordination of major development projects such as the “Lazaristes Theatre and Cultural Centre” in Thessalonica, the “Athens 2004” Olympic Games Weight Lifting Stadium, the Lyric Theatre of Corfu, The International Airport of Kos e.t.c. She is now member of the design team for the Stavros Niarchos Foundation Cultural Centre in Athens. Architect / planner / environmental consultant, born in 1948. He is an associate with BETAPLAN since 2001. He studied architecture in Milan, Italy, and town planning in Paris and London. He worked in Great Britain for 22 years as the Planning & Environmental Services Manager with YRM Architects & Planners and then as a free-lance planning consultant. He was also for 7 years a senior visiting lecturer at the Faculty of the Environment of the University of Greenwich. He has wide experience in the planning and environmental aspects of major developments, as well as the management and coordination of international projects. His international professional experience comprises projects in several countries including Great Britain, Portugal, France, China, Turkey and Saudi Arabia. He is a member of the British Royal Town Planning Institute. Mrs. Labrou is an architect with BETAPLAN S.A. She has a Master in Architecture with emphasis in community design from the University of Michigan in the United States. Mrs. Labrou has worked for 18 years in the United States, in Michigan and California and intermittently in Athens, Greece, in the design development and construction documentation for college buildings, hotel and conference centers, office, industrial buildings, churches and housing. She is currently a member of the team for the Stavros Niarchos Foundation Cultural Center in Athens. Mrs Andreadou is an architect, interior designer and an associate with BETAPLAN S.A. since 1992. She has wide experience in the design and project management of major developments projects. Among the projects, she worked as architect, are included the Lazaristes' Theatre and Cultural Centre in Thessalonica, the Athens Olympic Games Weight Lifting Stadium, the Lyric Theatre of Corfu etc. Mrs Karagianni is an architect graduated from the National Technical University of Athens and since 1999, an associate with Betaplan. She has been involved in the design of public and private housing, office buildings , sports complexes and landscape areas. She also has wide experience in feasibility studies, planning and final detail design for railway stations.She currently works and coordinates the project of the new Railway Metro Stations in Thessaloniki. Mrs Vitta is an associate and project manager with BETAPLAN S.A. She has studied mechanical engineering at the Technical Training Institute of Athens. Before joining BETAPLAN in 1990, she worked for five design consultancies. Mrs Vitta is a highly experienced consultant in all the stages of the design and management of projects, both in Greece and overseas. She has managed a large number of design projects including hospitals, housing, government buildings, offices and cultural centers. Andreas Ventourakis was born in 1984 in Athens. He has studied architecture in the National Technical University of Athens (NTUA), and in July 2018 he graduated with an MBA from INSEAD, Paris. He started his career in 2010 at the architectural practice BETAPLAN, and for 7 years he was a core member of the SNFCC architecture team RPBW/BETAPLAN, following the progress of the project from the design phase until its delivery to the Greek State. Currently, he is interested in the application of new business models in the architectural and construction industry. Andreas has been part of the architecture team in all the international competitions of BETAPLAN, including the awarded competition in Bad Kissingen for which he was the lead architect. 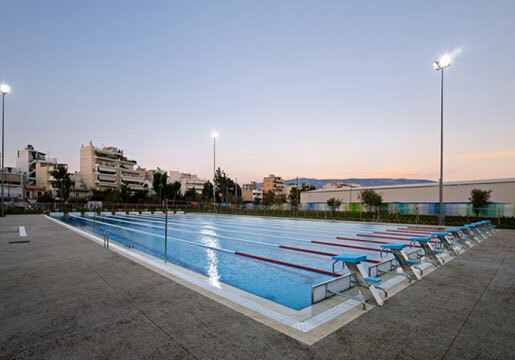 Additional to the above he has been involved in other medium-scale projects, including the New Building for the Quality Control Laboratory of Boehringer Ingelheim and the Kallithea Municipal Athletic and Recreational Park. Mrs Chanioti is an architect graduated from the National Technical University of Athens. Before joining BETAPLAN S.A. in 2008, she worked for several architectural practices in Athens. She has also worked for the Greek Ministry of Culture on monument restoration projects in Athens. While working in BETAPLAN S.A. she has been member of design teams of several projects and competitions such as the Museum of Second World War (Poland), Euromedica Rehabilitation Center and the Thessaloniki Metro. She is currently a member of the design team for the Stavros Niarchos Foundation Cultural Center in Athens. Mrs Kelaidi is an architect and an associate with BETAPLAN S.A. since 1994. She has a Master in Urban Building from Mackintosh School of Architecture, University of Glasgow. Before joining Betaplan, she has worked for several architectural practices. She has worked in a large number of projects, including cultural centers, housing, offices and healthcare buildings. Mr.Mavrikis is an architect graduated from the National Technical University of Athens. He joined BETAPLAN S.A. in 2011. While working in BETAPLAN, he has been a member of design teams of several projects and competitions such as the Museum of the Second World War (Poland).He is highly skilled in 2D and 3D architectural design software. Mrs. Tzachrista is an architect graduated from the National Technical University of Athens. She joined Betaplan in 2014. She is experienced in various aspects of the design process and is highly skilled in the use of several architectural design software programs. Mrs. Fratzi is an architect graduated from the Aristotle University of Thessalonica. She joined BETAPLAN S.A. in 2016. Before joining BETAPLAN she has worked for several architectural practicesand she has wide experience in the design and construction phase documentation of major projects. She is highly skilled in the use of architectural design programs. Mr. Stamatakis is an interior designer graduated from Vakalo School of Arts in Athens. He has a BA (Honours) in Interior Design from Derby University. He joined BETAPLAN S.A. in 2016.Before joining BETAPLAN he has worked for several architectural practices and has wide experience in the planning and design of different types of buildings (healthcare, offices, cultural, housing & hotels), as well as the supervision of works design development. His responsibilities concern the full design process, from concept and preliminary design to detailed design and construction supervision. He is highly skilled in architectural design software. Mr. Livathinos is an architect and interior designer graduated from the National Technical University of Athens, where he also obtained a Master in Architectural Theory. He joined BETAPLAN S.A. in 2016. Before joining BETAPLAN heworked as a freelance architect and participated in several design teams, workshops and architectural competitions. He is highly skilled in 2D and 3D architectural design software. Mrs. Bountouraki is an architect graduated from the National Technical University of Athens, where she also obtained an MSc in Protection of Monuments. She joined BETAPLAN S.A. in 2016. Before joining BETAPLAN she worked mainly as a freelance architect and collaborated with several design teams in architectural competitions. She is skilled in 2D and 3D architectural design software. Mrs. Cherouvim is an architect graduated from the National Technical University of Athens. She joined BETAPLAN S.A. in 2016.Before joining BETAPLAN she worked for SPARCH SAKELLARIDOU / PAPANIKOLAOU Architects. She hasexperience in the construction and detail design of several projects. She is highly skilled in presentations and computer graphics and their respective software. Mrs. Belezini is an architect graduated from the University of Westminster, London. She joined BETAPLAN S.A. in 2016. Before joining BETAPLAN she worked for 3SK STYLIANIDIS Architects, Athens.She is highly skilled in the use of several architectural design software programs. Ventourakis - Tavaniotis & Associates S.A.
Ras Bu Fontas, Al Wakra and Economic Zone. • Car Parking Facilities for the above. The site is approximately 240,000m2. The Project is designed with advanced technological, environmental and sustainable standards and was awarded with the platinum LEED certificate. 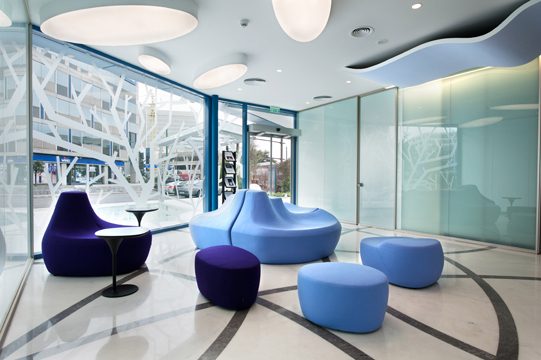 Joint Development Plan for the two Children’s Hospitals of Athens, comprising a full survey of the existing situation, detailed review of the existing operational and building characteristics, and detailed development and joint operational proposals. Also, preparation of the design and tender documents for the modernization of the old part of the Main Building of «Saint Sophia» Hospital. Client: EUROMEDICA – RECOVERY S.A. Detailed Design and Tender Documentation for the complete refurbishment of an existing building in Athens and the development of a new multi-storey extension to accommodate a Recovery and Rehabilitation Centre. The Centre provides health care services which include Physiotherapy, Hydrotherapy, Doctors’ Surgeries, Examination Rooms and Treatment Units with a 58-bed capacity for staying and daily patients who require physical rehabilitation or suffer from disorders of the muscular, nervous, circulatory, skeletal and respiratory systems. BETAPLAN won the 3rd prize for the design of the New Office Building Extension to the District Administration Building of Bad Kissingen. 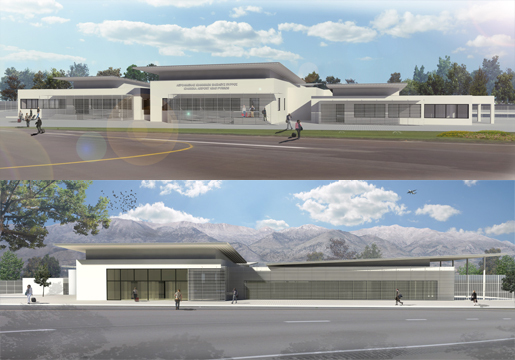 The New Building will house the District Administration’s Medical Services, General Administration Offices and a Conference Hall. The Gross Floor Area of the building is 1,839 m2. 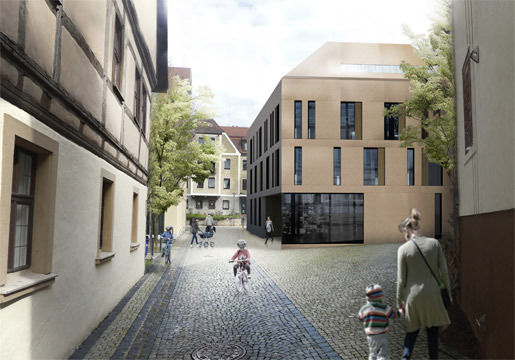 The design objective is to achieve a simple and contemporary architectural solution that will blend harmoniously with the Old Town image of Bad Kissingen whilst fully satisfying all the requirements of a modern building. The building has been designed as a simple, compact and free standing volume, with its boundaries being determined by the existing District Administration Buildings to the east and by the irregular shape of the Old Town to the west. The entrance is orientated towards the Town Hall Square and is defined by a recess of the building facade at that point. The internal space organization results from the sub-division of the building into three distinct zones: the Atrium with natural light from the roof, the Concrete Core and the Office Perimeter. The public functions of the building and the public waiting areas are organized around the Atrium, whilst the non public functions are centered on the dark core. The building shell, influenced by the chromatic palette of the Old Town, consists of colored exposed concrete in shades of orange and ochre. To reinforce the building’s mass and robustness, the colored concrete shell is continued on the 45 degree roof. Client: Boehringer Ingelheim Ellas A.E. The new Quality Control Laboratory Building will be erected next to the Company’s existing Main Building in Koropi of Peania, Attiki, with which it will be connected via a narrow bridge that serves exclusively as a channel for M&E installations. The new building will have a total floor area of approximately 1,780 m2 on 3 floors (Basement, Ground and First Floor) . The Ground Floor will be primarily occupied by Laboratories and Quality Control, the 1st Floor as Offices and Conference Rooms, whilst M&E plant rooms and laboratory auxiliary spaces will be located in the Basement. The laboratory area is designed on a 1.15m modular grid, with which (in accordance with the pharmaceutical laboratory specialist consultant) an optimal arrangement of the workbenches and the circulation area around them can be achieved. The same grid is applied to the facade design of the building. 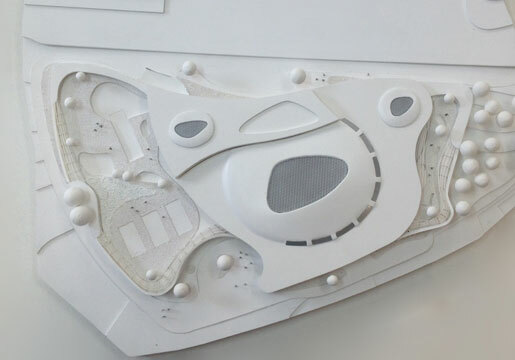 The facades will be cladded with terracotta tiles on a support metal frame, thus providing a ventilated façade. On all four facades of the building and at a short distance from the tile cladding, a system of ceramic vertical louvers, arranged in three graduating densities, will be installed in order to protect the windows from direct sunlight but also to achieve a consistency between the facades of the new and the existing building. Associate firms: ALCON CONSULTING ENGINEERS, LIONTOS & ASSOCIATES, PAVIRO HOLDINGS S.A.
Design Verification Engineer (DVE) for Architectural Design as Sub-consultant to “KALLIERGOS” S.A. The design concerns the Building Complex of the School of Social Sciences at the University of the Aegean on the island of Lesvos. 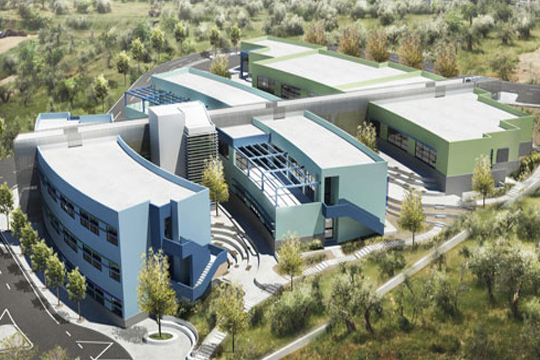 The University site is located near the town of Mytilene on a green hillside with views towards the sea. The new buildings will house the Research and Teaching Laboratories, the Teaching Rooms, the Teaching Staff offices and the School Library. The Building Complex has a gross built area of 5,623m2. The central concept of the design is the harmonious integration of the Complex within the relatively steep inclined grounds of the site and the creation of outdoor rest and activity areas in the spaces between the building volumes. The scheduled accommodation is developed in three independent wings, whilst circulation within the complex is achieved with a central spine of general circulation that connects the wings at all levels. Regarding the external form of the building, the curved shape of the building volumes was designed to fit in with the slope of the site. The outdoor landscaped spaces between the three wings can be used for a variety of activities, whilst they also function as reception areas, identifying thus the building entrances that are located in the volume of the central circulation spine. Client: Hellenic Duty Free Shops S.A.
Full Design for an Extension to the Airport's Departures Area with a two-storey building. Architectural Design for the Rearrangement and Extension of the Existing Terminal Building (6,000 m2) to provide Waiting Areas and new Departure Gates. 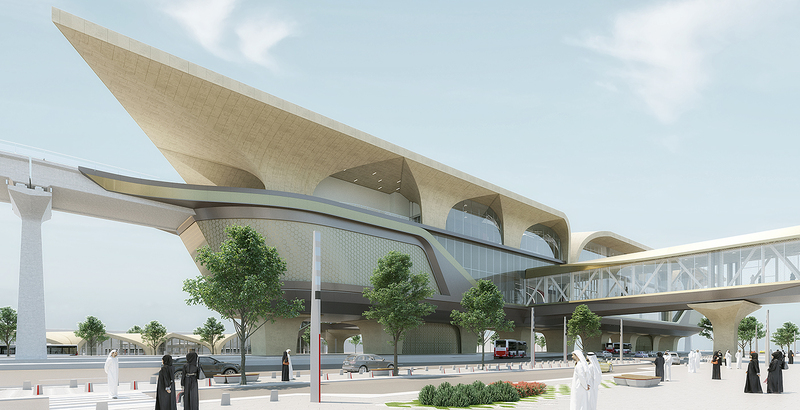 The Design also concerned the Rearrangement of the existing Terminal Building to create retail and passenger waiting areas, as well the replanning of the passenger control areas. Full architectural design, based on the Civil Aviation Authority’s proposal for the Airport’s new Masterplan. 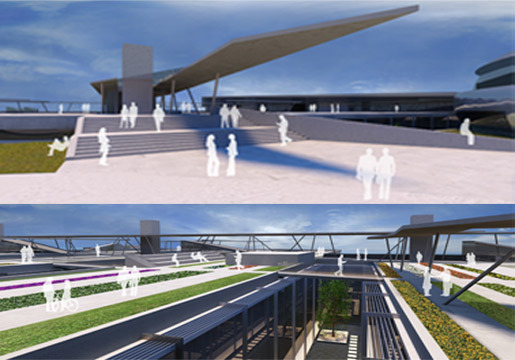 The design concerns the Extension and Rearrangement of the Existing Terminal Building, and includes the demolition of an older part of the Building, the construction of a new Central section and the Rearrangement of the existing “Arrivals” and “Departures” Areas. Participation of BETAPLAN in a closed Architectural Competition after prequalification of 20 design teams. The site location of the project, at the foot of Brauhausberg hill and opposite the Potsdam Train Station is regarded as quite important as it contributes to the first impression of newcomers to the city. The program was divided into 4 principal functions-zones: Sport Swimming Pool, Leisure Pool, Gym and Sauna with their respective open spaces. Through the incorporation of a central ramp that connects the two entrances of the building, the principal design idea is to intertwine the customer and visitor spaces in such a way that it is functional and inviting at the same time for all users of the building. The form of the building, inspired by the fluid nature of water, is curved and distinguishable from its surroundings as it befits to the special use and location of the project. The competition included full architectural drawings at preliminary design stage. BETAPLAN participated as Executive Architect and Architect of Records in collaboration with Renzo Piano Building Workshop (RPBW) to the following Phases of the project: Schematic Design, Design Development, Building Permit Issuance, Tender Documentation (Schedule of Rates, Bill of Quantities and Technical Specifications) , Construction Administration and Supervision of all items of the Project including, among others, a Swimming Pool of Olympic proportions, a Football field, a Multipurpose Hall with Cafeteria and a Recreational Park. BETAPLAN participated in this Swiss competition with 30 entries from around the world. The competition included full architectural drawings at preliminary design stage. 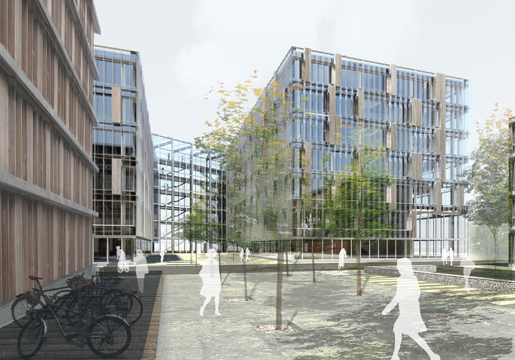 In this project the existing UVEK Administration Campus of Ittigen, south of river Worble, is to be extended by 900 Work spaces. The building of a total floor area of 28,000 m2 is to be constructed in two phases (1/3 and 2/3), in a rational, flexible, economic and eco-friendly way. In addition to the office and meeting spaces, a restaurant of 1250 m2, accessible to all employees of UVEK-Complex, is included in the program. Estimated construction cost: 108,000,000.00 CHF. BETAPLAN participated in this Finnish competition with 544 entries from around the world. The competition included full architectural drawings at preliminary design stage. 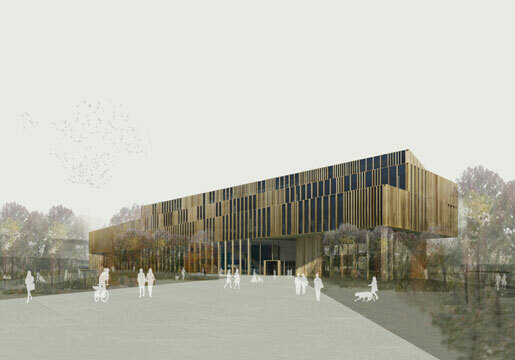 In terms of both the cityscape and its symbolic significance, the Central Library will be located in the very center of Helsinki, the Töölönlahti (“Töölö Bay”) area. The new building will form a cohesive totality with the Finnish Parliament building, Helsinki Music Centre, Finlandia Hall, Sanoma House and Kiasma Museum of Contemporary Art. The defining concept of the proposed new Library is the creation of a homogeneous building without «rear facade», a building that is transformed at each floor depending on its function, its relationship to the surrounding area, the views and the orientation. The building's transformation is expressed on the varied outline of each floor level which constitutes the defining element of its mass. Homogeneity, in the appearance and form of the building, is achieved by the use of only two materials on its facades (wood and glass). Estimated construction cost: 69,900,000 EUR. 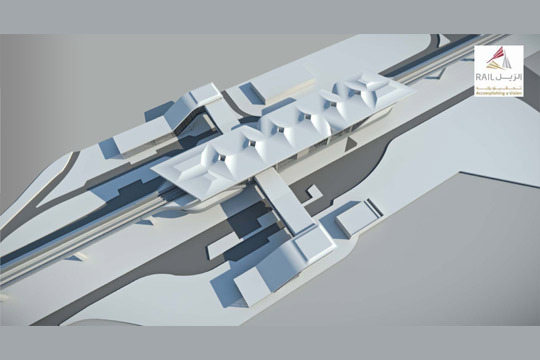 Design proposal for Station 20 of the Metro Line 1 in Sofia, Bulgaria. This project was submitted to the STATION 20 architecture competition, launched by the Sofia Municipality and the Directorate for Architecture and Urban Planning. BETAPLAN was awarded Honorable Mention in this international competition with 130 international entries. The proposal included full architectural drawings at preliminary design stage. The site location of Station 20 is of particular significance, as its development will take place before the urban development of the area and will act as a pilot for the wider development of the non-urbanized zone between the two residential quarters of Druzhba. 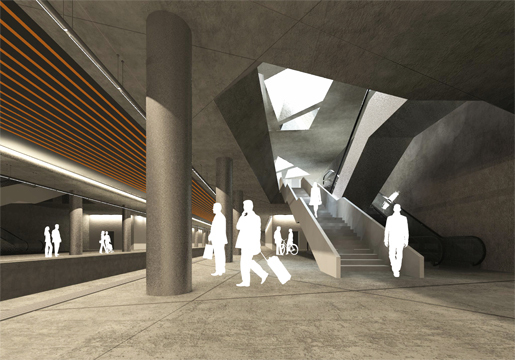 The station will have a total floor area of 4,540 m2 while the Street Level Zone will have an area of 12,390 m2. The station is estimated to maintain a level of service with a maximum passenger flow of 7,000 passengers per hour and over 120,000 passengers per day at 5-minute intervals. Architectural design, interior design and medical equipment design and construction supervision. 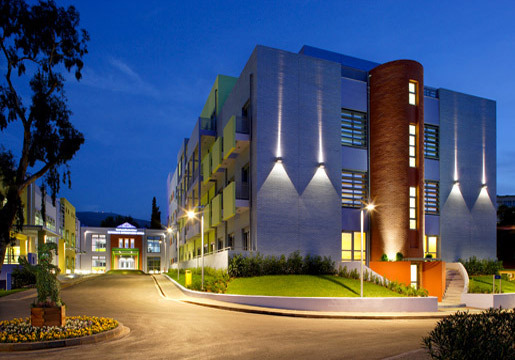 Refurbishment and retrofitting of an existing 4-storey building to create a Medical Center of 1200 m2. The accommodation and equipment provided include: Biological Age Measurement, Digital Thermography, Bone Density Measurement, Mammography, Haematology Laboratory, Gynaecology, Endocrinology, Plastic Surgery and Laser Treatment, Cytology, Gene Analysis, Cardiography and Neurology. BETAPLAN and Solon Xenopoulos / Eleni Hatzinikolaou were awarded with 1st Honorable Mention in this Competition with more than 20 international entries. 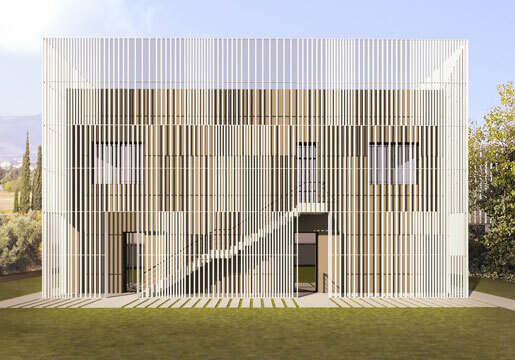 The Competition included full architectural design at preliminary stage for the New Faculty of Polytechnic School. 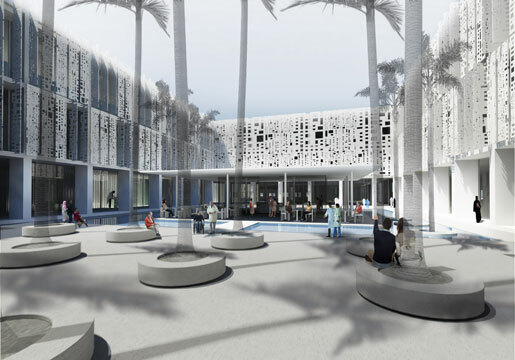 The site for the project is situated some 5 km south east of the historic center of Nicosia, at the existing Athalassa Campus where the major part of the University of Cyprus will be located. Full architectural design for the re-use of an existing storage buliding as the Headquarters building of the Benrubi Corporation. The project also comprised the planning documentation and the supervision of the Architectural Design implementation. Architectural, Interior, Landscape, Signage, Medical Equipment and Chromatic Designs, Tender Documents, Construction Supervision and Project Management. 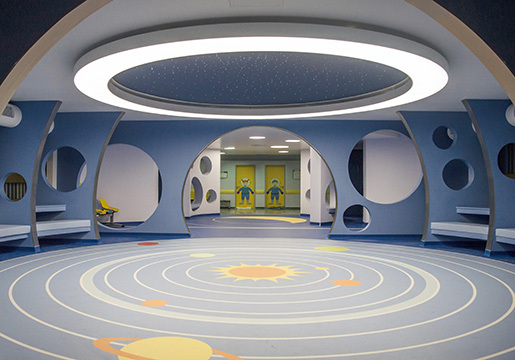 The new Oncology Unit consists of 4 main buildings and a system of walkways that connect it to the main building of the “Saint Sofia” Children’s Hospital (600 beds). The total area of the new Unit amounts to 15,000 m2.